In the last few years, my experience of visiting the Folk House has been one of walking through the alleyway off Park St, walking into the little concrete garden, noting that there was no one about and then walking swiftly out again. I must have done it three or four times so this time I became determined I would stay and eat something. The cafe reminds me of some type of school / Uni / community centre dining room where it all feels casual and affordable. The best dressed person in there is a teenager who is in his school uniform still wearing his blazer. 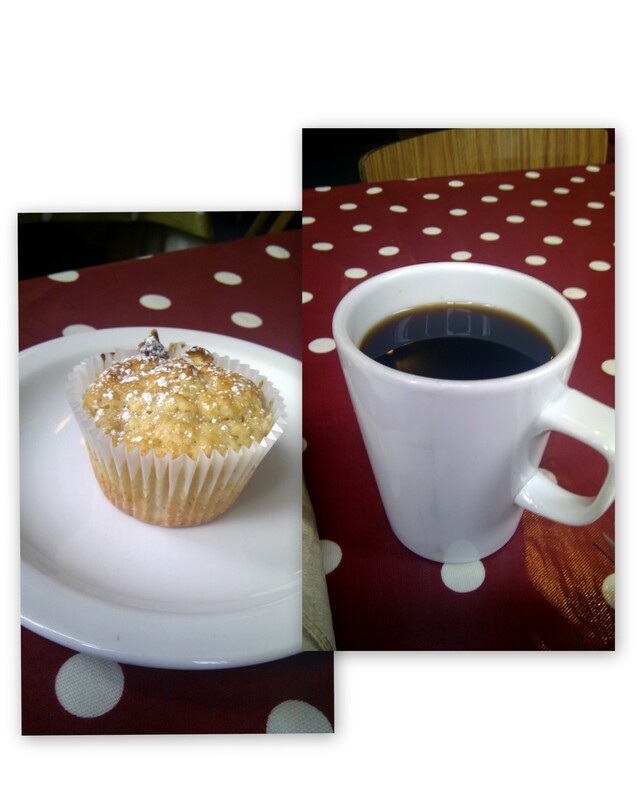 There is a coffee and muffin deal for £2.70 and the choice is either apple and almond or raspberry and banana. I opt for the first and note that the cakes are more of the cup size than muffins and have no icing. The tables are covered in easy to clean vinyl tablecloths. There is a little ant on mine who keeps trying to find something exciting but to no avail. It walks up to my mug of black coffee and back towards the edge of the table again. The ‘muffins’ are quite airy and more sugary than fluffy but that’s probably the almond part. I have two poached eggs on toast (buttered) (£3.50) and they are quite nice but there is no visible salt and I don’t ask for any. They already have a little bit of pepper added. The breakfast was lovely enough and the environment pleasant with the uni students next to me reading the Guardian. I didn’t mind it but nothing particularly stood out although it does seem to offer a lot more than just food and beverages. There is a board by the door outside the cafe where a whole host of activities are listed for all hours of the days of the week. Dancing, writing, cooking, poetry, singing and lots more. 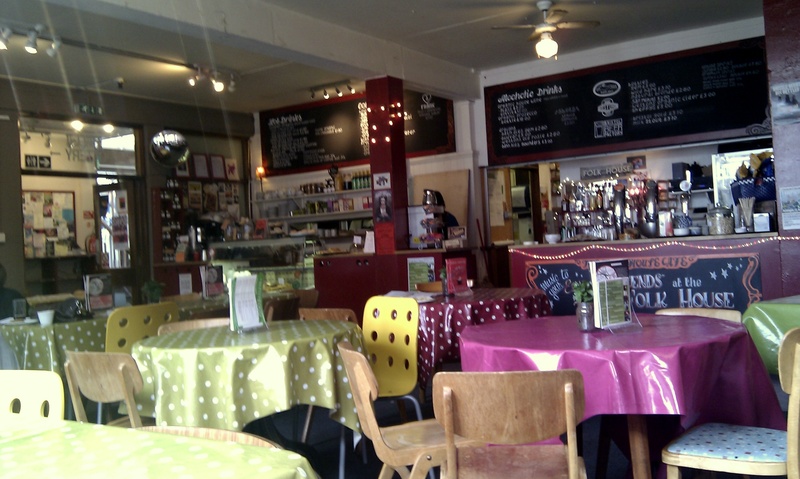 The community feel to the cafe may be better explained as a consequence of all the other activities going on. At least I managed to visit this time and stay for a while. Next time I’ll have to take part as well. 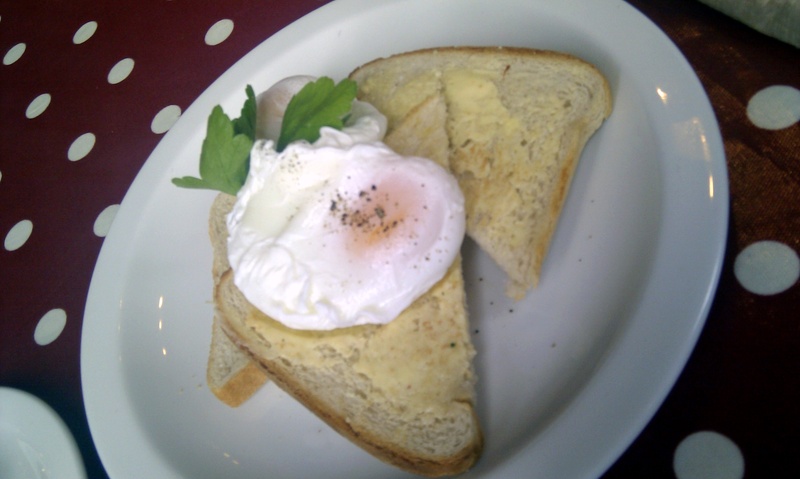 This entry was posted in Bristol, Food and tagged breakfast, Bristol, cafe, Coffee, eggs, Folk House, Food, muffin, review. Bookmark the permalink.